We previously studied the formula of current divider. 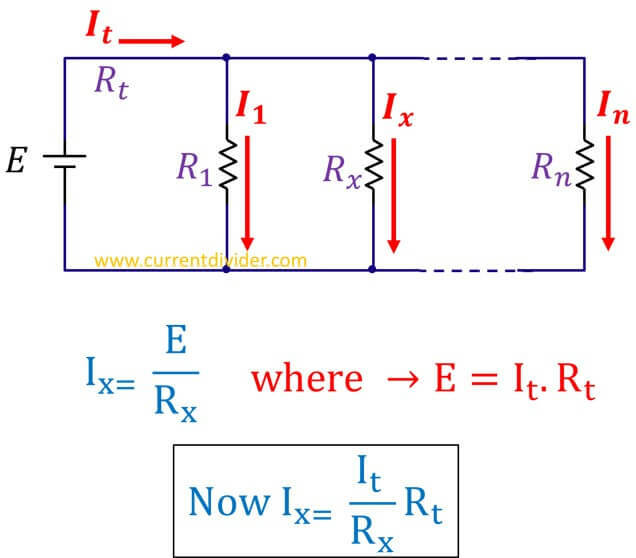 In this post you'll learn the step by step derivation of current divider rule. 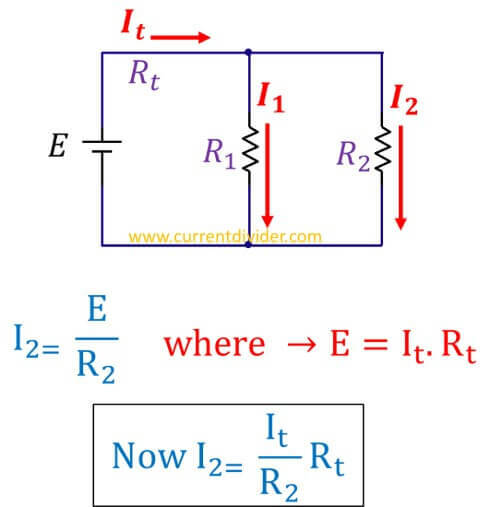 Let's consider the parallel circuit with 'n' number of resistors connected in parallel to a voltage source E. Using Ohm's law we known that I = E/R and E = IR. Let's apply Ohm's law to resistor Rx. 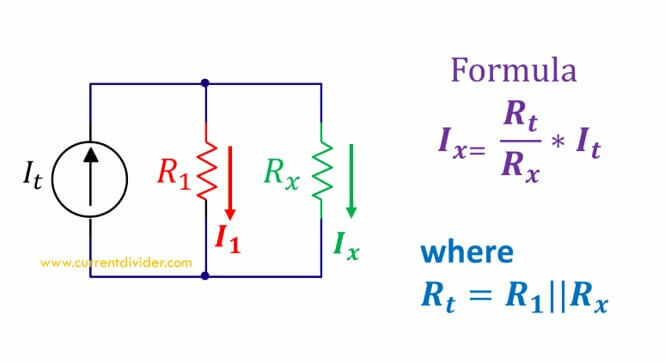 The above boxed formula is the general formula for n number of resistors.Let's consider the circuit with two resistors.